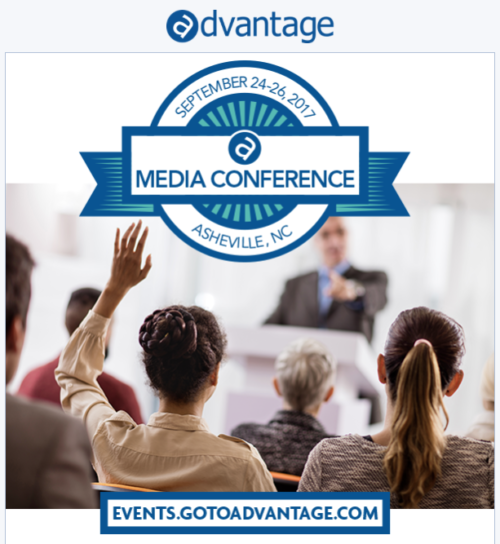 We are excited to announce that our AQUACon 2017 Media Management Conference will be held September 24-26, 2017 in Asheville, NC. Register and find all the details here. Early registration is underway through June 30, 2017, and you can register for $498 per person. If you’re an agency and media team member looking to fully integrate media into your Advantage workflow, you won’t want to miss this event where you can provide your input and also prepare to be the first to use these new tools. Network with your peers on how they are handling agency media operations and their plans to improve! The AQUACon 2017 Media Conference begins Sunday evening, September 24, with a welcome and networking reception. Then the events, classes and instruction begin Monday morning and run through midday on Tuesday, September 26. To register and see the full agenda, please visit our Advantage Events Registration site here. The host hotel is the Renaissance Asheville Hotel and you can reserve your rooms at this link with our special Media Conference room rate. We hope to see all of you at this new and exciting Media Management Conference in September in the beautiful mountains of Asheville and western North Carolina!